“Once a Girl Scout, always a Girl Scout” has never rang truer than in the case of Doretta “Chips” Law, who, at 92, still considers herself a Girl Scout. Her Girl Scout nickname, Chips, has become a lifelong nickname, and she has dedicated her life to Girl Scouting. Over the years, she has been a troop leader, volunteer, and a Woodland Pioneer. She founded troop 33 in 1940 and the troop met regularly in Linthicum for 30 years. As a troop leader, Chips was dedicated to teaching her girls what being a Girl Scout was all about; and providing them with memories, experiences and skills to last a lifetime. 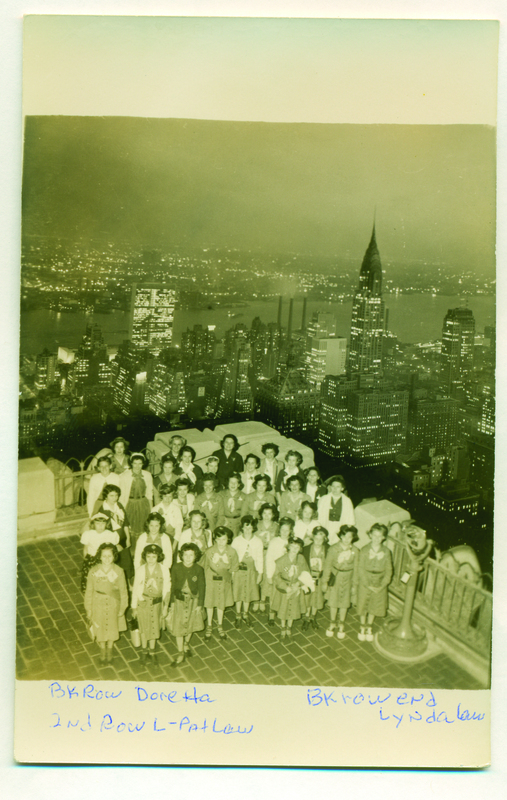 She took her troop on various trips to New York City, Assateague Island and Camp Woodlands to allow them to see different sights and camp in the great outdoors like true Girl Scouts. As a Woodland Pioneer, Chip was a contributor and advocate for Girl Scouting and what would become Girl Scouts of Central Maryland’s very own Camp Woodlands. Due to the Woodland Pioneers dedication to fundraising and their volunteer work, Camp Woodlands became a reality that Girl Scouts today still enjoy. Chips was kind enough to share some of her personal photos and items with us from her time in Girl Scouts. They are pictured in the slideshow below. Read more about Chips in the latest issue of the Promise.